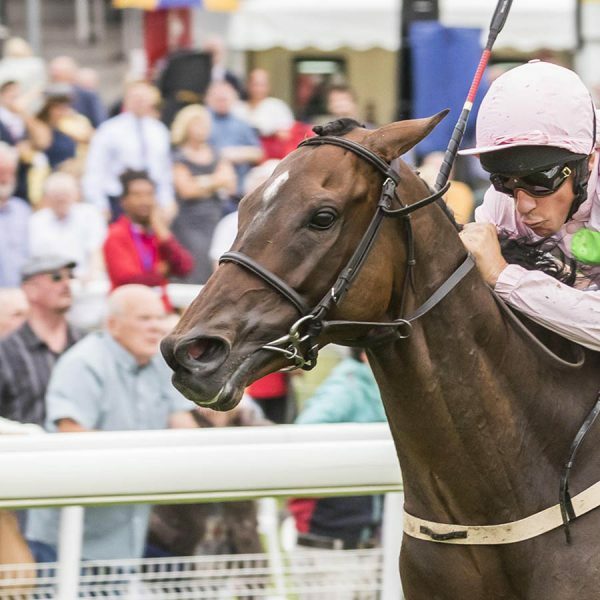 Max Dynamite was a stayer going places fast at the end of 2015 – powering home by four and a half lengths under Frankie Dettori in the Weatherbys Hamilton Lonsdale Cup at York, to chalk up a QIPCO British Champions Series win, before finishing runner-up in the Emirates Melbourne Cup. He was beaten just half a length in Australia after being stuck behind a wall of horses two out. Dettori was in apologetic mood afterwards. Max Dynamite was purchased for €200,000 as a three-year-old. Following a Flat campaign in France, he was sent over hurdles by Willie Mullins, getting off the mark at the first attempt in his new discipline. A high-class hurdler, he was fourth in the County Hurdle at the Cheltenham Festival in 2015 behind stablemate Wicklow Brave. He was switched back to the Flat in June when he tackled the Northumberland Plate and despite a wide draw, he ran an absolute cracker to finish second behind Roger Charlton‘s Quest For More. He found only Tony Martin’s Quick Jack too good in the Galway Hurdle at the end of July 2015 but had no problem on his return to the level at York. Max Dynamite was below-par on his first start in 2016, when third of four runners in the BetVictor Henry II Stakes at Sandown, and was unable to make an impact in the Gold Cup at Royal Ascot next time. He did not race in Britain 2017 but was third in the Melbourne Cup and then beaten under four length behind Highland Reel in the Hong Kong Vase. During the winter of 2017-18 he fluffed his lines several times over hurdles before plugging on to be fourth in the 2018 running of the Yorkshire Cup. His best run of the year came on his latest start when he finished a half-length runner-up to Thomas Hobson, his stablemate, in the Doncaster Cup. The pair puled seven lengths clear.